When it comes to the flooring in your home, it’s important to choose a material that fits your style as well as your needs. 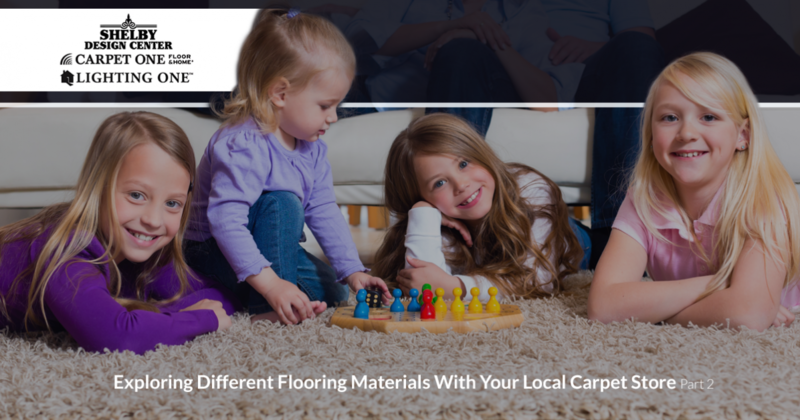 Fortunately for Michigan residents, our cooperative carpet store in Shelby holds a vast inventory of residential flooring choices, as well as an experienced staff that is ready to offer the best solutions for your project. The Shelby Design Center has combined with Lighting One™ and Carpet One Floor & Home® to create a comprehensive source for all of your home renovation needs. 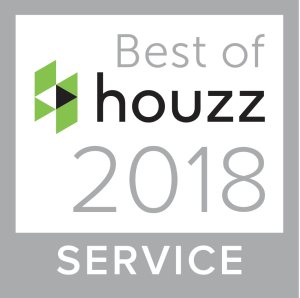 Today, we’ll continue to cover a few of the many flooring materials available in the modern marketplace to create an amazing finish for the home. When you’re ready to get started, be sure to stop by our lighting and flooring showroom! Those looking for a versatile flooring material that is both affordable and easy to install can benefit from laminate materials. Modern options come with a design that clocks, locks, folds, then locks. This process ensures that your flooring will go together like a puzzle, negating the need to glue pieces together in a messy fashion. Laminate is also handy for laying upon existing floors, allowing you to complete the installation without having to tear out the existing surface below. Cleaning and maintenance needs are also at a minimum, as laminate provides durability with its top layer. One of the best parts of laminate is its ability to imitate hardwood flooring. While not nearly as stunning as hardwood, the cost and ease of laminate makes it an attractive option for many homeowners. Coloring. The comprehensive list of colors our carpet store provides is enough to set the tone and attitude of any room in your house. You can utilize this material to create a different ambience for each room, customizing the design and thickness to match your exact preferences. Less sound. Carpet is widely known as the go-to choice for those looking to reduce noise within their home. The fabric and design of carpet allows it to block and absorb sound waves, muffling them and keeping sounds isolated to the room where the noise originated. High-traffic homes and buildings can benefit from the sound-dampening quality of carpet. Air quality. Unlike solid flooring surfaces, carpet is able to trap airborne contaminants such as dirt, dander, pollen, and more. Instead of traveling through the air and causing irritations to your building’s inhabitants, carpet is able to pull in materials and cut the amount of debris floating through your space in half! Once vacuumed and cleaned, these pollutants can be safely disposed of without having to worry about respiratory issues. Warmth. Similar to hardwood flooring, carpet can create a warm, welcoming environment for your home. Unlike hardwood, this material retains its temperature, cutting down on the energy costs required to keep your flooring at a comfy level. Choices. Once again, we need to mention that carpet flooring provides a huge array of styles and colors to ensure that you find the perfect solution for your home. Our carpet retailers are here to help you find plush, frieze, patterned, textured, or any other type of carpet you need to make your home shine. While carpet flooring is beneficial for many reasons, it does come with some drawbacks. For one, homeowners will need to consistently vacuum and clean their floors to ensure long-term health and aesthetic qualities. Those with small children and pets will be quick to remind you that carpet is vulnerable to stains and water damage. While certain varieties resist moisture issues, the stain that is left behind can be very unsightly if not cleaned up properly. If carpet isn’t properly maintained, it can begin to wear out prematurely, as well as create a hazard for those with respiratory issues. Your best bet for long-term enjoyment with this material is to follow the maintenance recommendations set forth by the manufacturers. Our flooring specialists can also help you create a care plan to optimize your investment! Finding the perfect flooring material for your home can turn that renovation into a revitalization. From vinyl to hardwood and more, the sheer number of choices available to consumers can make the shopping process feel overwhelming. When you’re in need of assistance, it can pay to go to a quality co-op provider. The Shelby Design Center is proud to be your go-to flooring store in Shelby, providing expert support alongside our specialty inventory. Feel free to contact us today with any flooring questions you have or stop by our carpet and lighting showroom to find exactly what you’re looking for!